Black Side Zipper Canvas Duffel Bags. 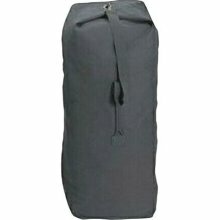 HW cotton canvas, double reinforced top & side grab handles, d-rings. Jumbo Size 25 X 42.